Merry Christmas folks - hope Santa was good to you all! 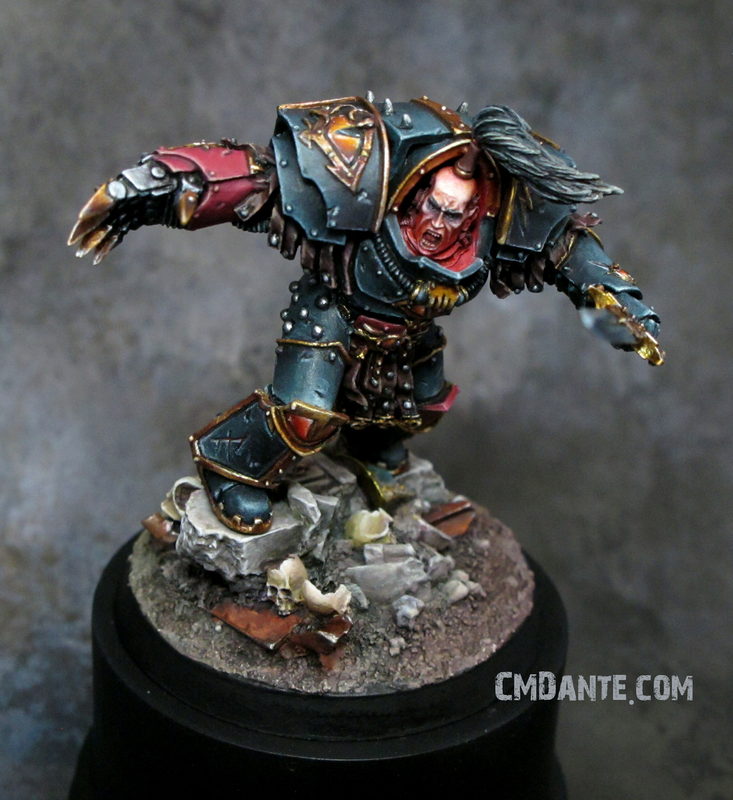 The festive period has meant a few days off, which has allowed some extra time for modelling allowing me to continue with my Khorne Lord conversion I started recently. It's taken a bit of time and a number of sessions but I'm about ready to call the conversion work on this one done. 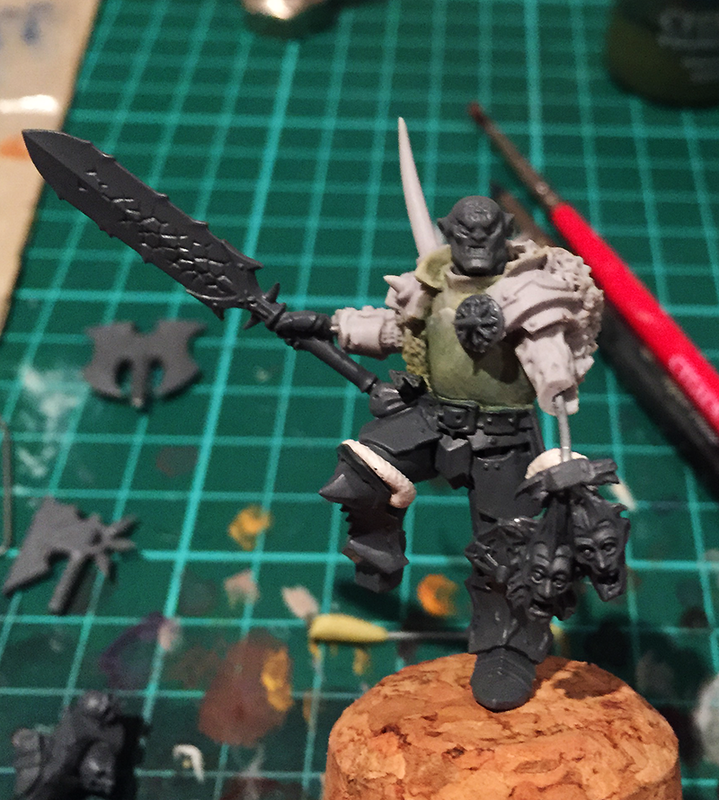 The main changes since the last pics I shared have been the addition of the cloak, sculpting out the left arm and converting the axe - everything else has just been surface preparation and detail work. I decided to add a small necklace to fill the empty space on the chest and help draw more attention to the area around the face. 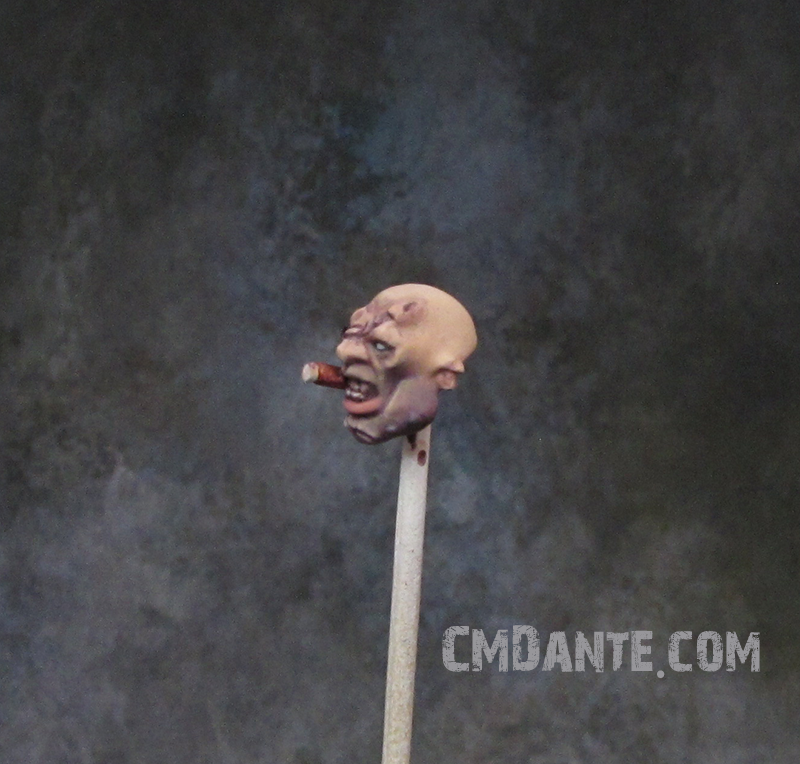 This was done using a small skull from a purity seal piece and a little putty work. The cloak turned out to be quite an involved piece of conversion work to get right. I wasn't comfortable enough in my own abilities to sculpt a cloak entirely from scratch so opted to use the cloak that comes with the chaos lord model the legs came from. However, it needed a bit of cutting to narrow down for a proper fit and the look I was after. I ended up removing about a half centimetre from the middle section and then pinning and puttying the two parts together. I knew I didn't want to attach the cloak prior to painting as it would restrict brush access to the backs of the legs and the cloak, which meant making it removable. To ensure it had a nice fit to the body and wouldn't need too much putty work after the pieces are painted separately, I drilled a small pin into the cloak (aligned with a matching hole I drilled in the models back) and then applied a thin layer of vaseline to the back of the model where I would need to apply the putty to make the top of the plastic cape meet the bottom of the fur on the shoulders. I then glued the cape to the model using super glue on the pin to fix it in place while I sculpted the joining area. Once the putty had set, I removed the cape again from the back (the vaseline layer ensured the putty hadn't stuck to the model and was easy to remove) and then sanded and adjusted the surfaces to get a smooth, flush finish between the plastic and the putty. It looks like crap in the pics but should look good once it has a coat of paint on top. All that remains now is to work up the base and a couple of final small details and then I can get started with the painting! Feel free to let me know what you think and provide any thoughts for the base in the comments below. 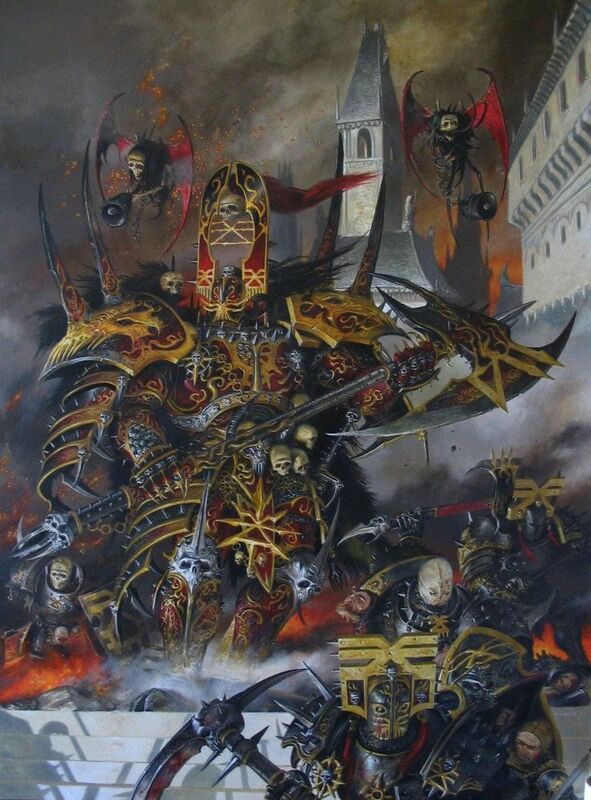 The recent End Times storyline playing out across the Warhammer universe has coincided with a spark of motivation for a project I have been planning for a few months not - namely, a Khorne lord in a sacked Empire (or Kislev) city. 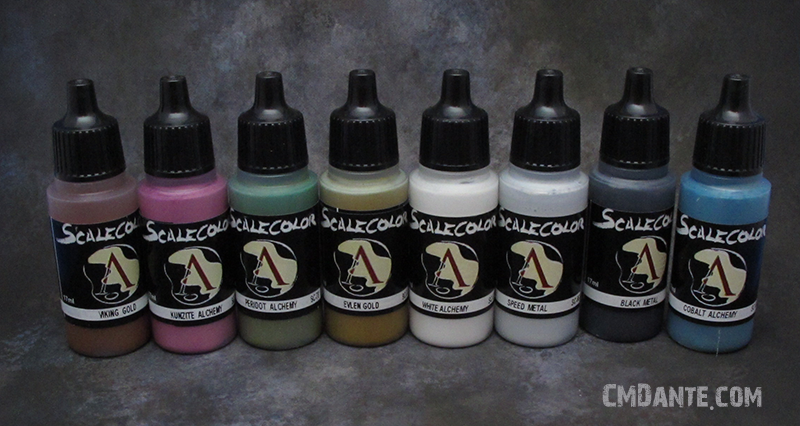 I'm itching to use my new Scale75 paints more and paint some red! 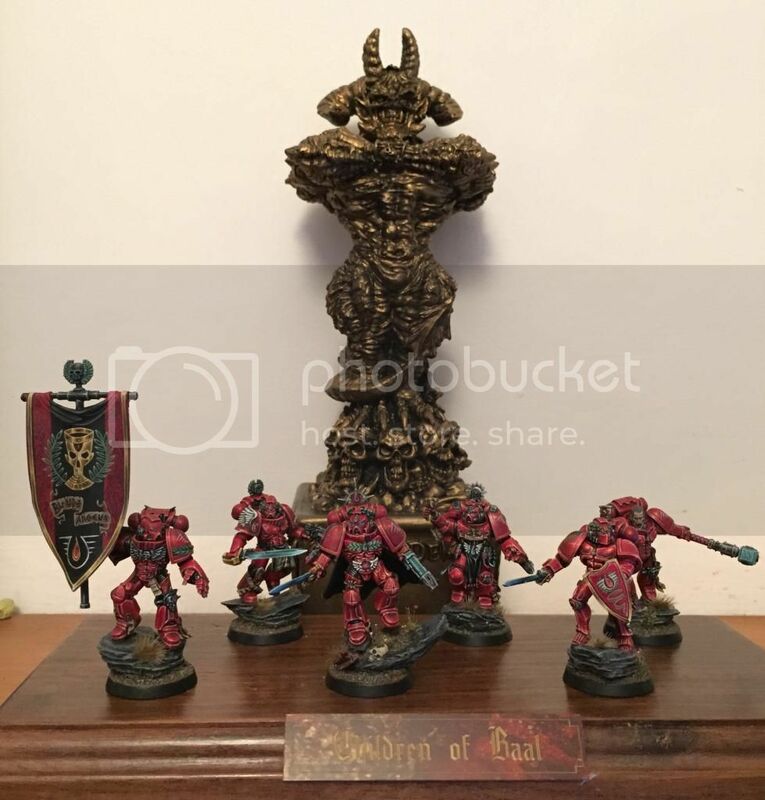 The core of the idea comes from a chap called Andy Wardle - a talented painter who recently took a Golden Demon at Warhammer Fest with his Blood Angel space marines. 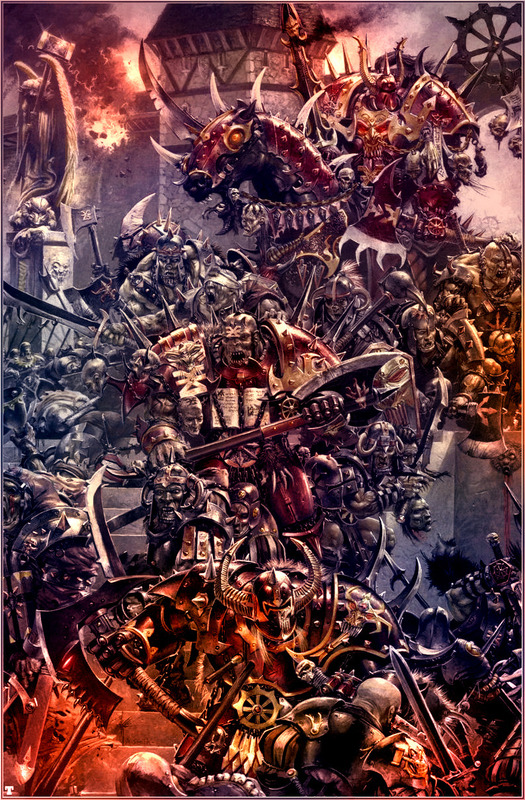 But I have decided to take my interpretation down the path of the blood god and make him an angry Khorne lord. As you can see, it's early days right now as I am still tacking things together, finalising the idea and various elements. I still have a fair bit of sculpting to do before he's finished, but I like how he's progressing. 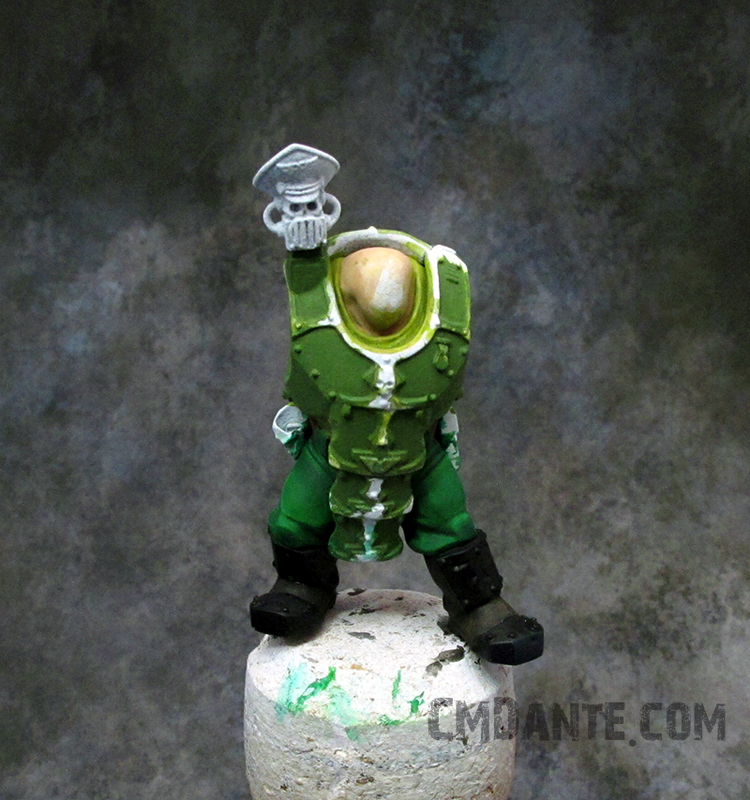 The conversion is turning out quite different from what I had originally planned (helmeted head, shield in the left hand etc), but this is always an organic part of the process on any conversion. 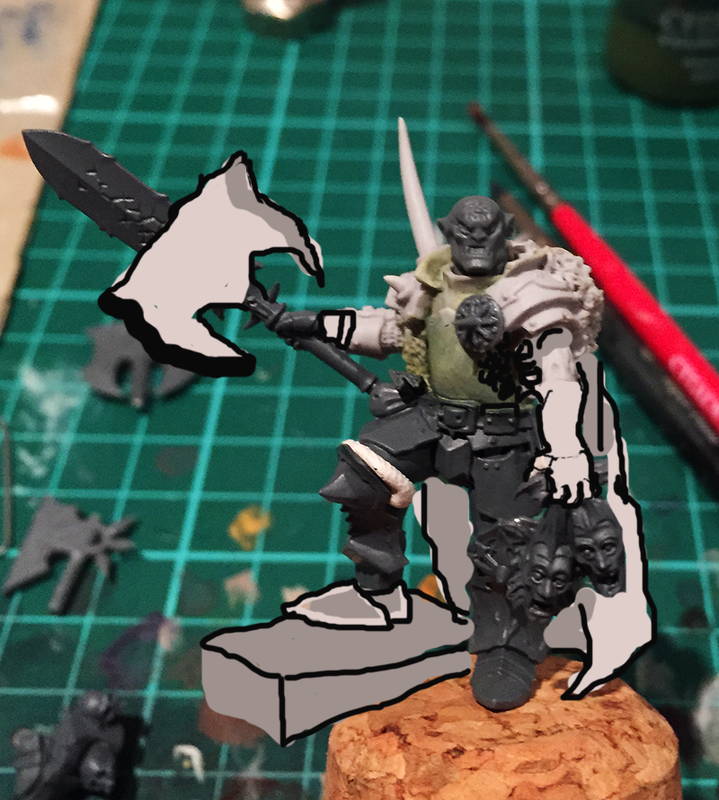 You don't know what will work best until you try mocking up various bits and poses! The torso and right forearm come from the Lord on Demonic steed figure, the legs and right hand come from the plastic Chaos Lord, the heads in the (to be sculpted) left hand come from the Skaven Stormvermin set and the chest guard piece is from the Skullcrushers plastic kit. Sculpting has all been done with a mix of Milliput and ProCreate (60:40) - pretty much my usual mix. All very WIP right now though, so expect more soon! As always, would love to know what you think. Let me know your thoughts (or suggestions for improvements) in the comments below. As I mentioned in my last post, I've recently been trying out the Scale75 paint range and boy are they good! In fact I've been so taken with them I have purchased almost the entire range. Since I've been asked a few times recently what it is about the range that I like so much, I figured I'd put together a bit of a quick overview of my experiences. I intend to expand this out with a proper review of the three main ranges - colour, metallics and inks - with more pics of the colours, their uses and colour swatches, but for now this post will hopefully provide a quick view on a few of the main observations I've had so far. 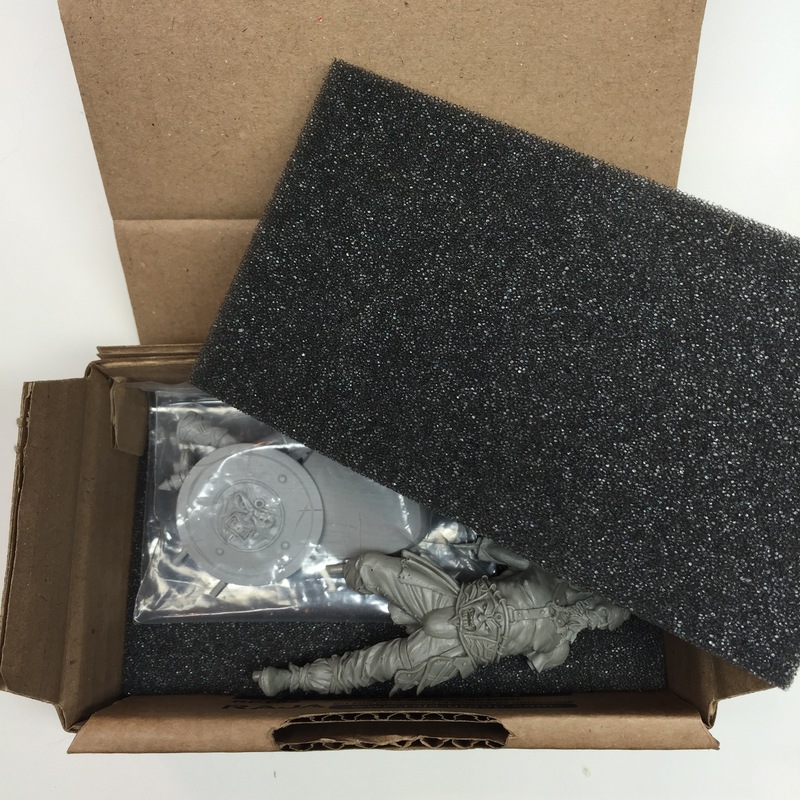 First things first, the Scale75 range is an acrylic miniature paint range developed by the Spanish company famed for large scale miniatures and their recent Frontiers of War range. The colour range has a good volume of colours in a nice mix of both vibrant and subtle tones. There are 63 paints in the main colour range and these can be purchased either in sets of 8 paints in groupings such as reds, blues, browns and leathers etc, or in one handy mega set. I purchased mine in the smaller sets as the mega set wasn't available at the time, but if you want the whole range at best price, I'd recommend the mega set (available in the UK from Model Display Products). 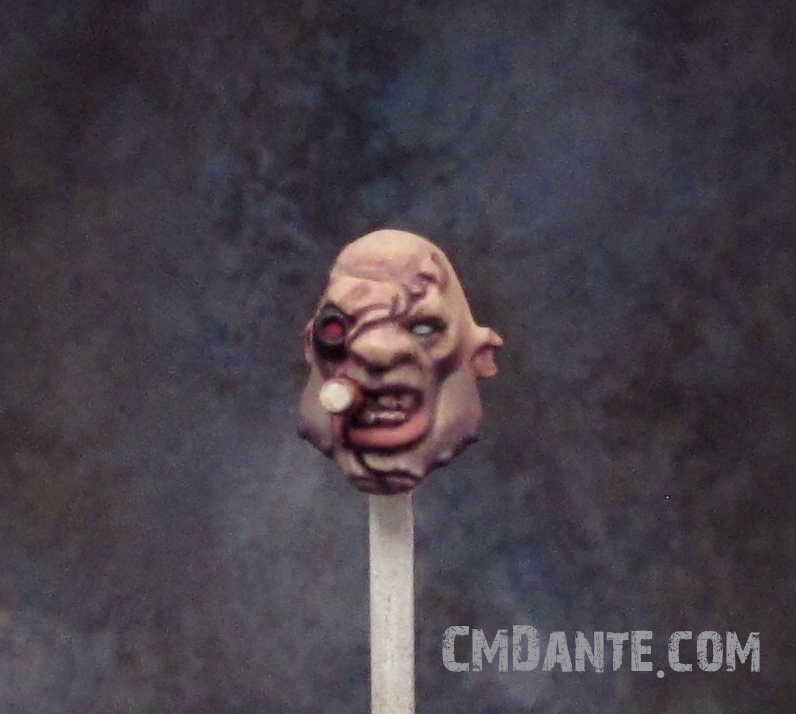 The flesh tones in particular are very nice and a perfect example of where the matt finish can work really well. Again, very WIP pictures below, at this point I've spent about 45 minutes total on the face, so plenty still to do but you can see how well they blend and how the matt finish gives quite a realistic look to the skin even at this stage for the scale. One final thing I'd like to note on the colour range are the tones available. There are some amazing vibrant tones, particularly in the blue, red and green ranges, that really pop - perfect for dress uniforms, heraldry and the like. For some examples, check the blues in the picture of a selection of the colour range I included at the top of the post. 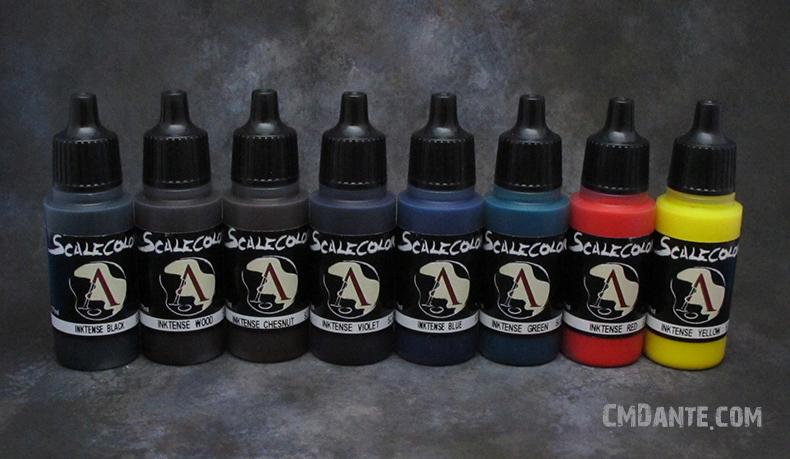 The inks from the Scale75 Inktensity range are the perfect compliment to the colour range. While the colours dry very matt, by contrast the inks dry very satin and shiny. Not quite as much as the old GW inks (the ones before the wash range), but more shiny than the more recent GW washes. As with the colour range, the inks come in a good range of tones, from yellow to black. The only notable absence in my opinion is a true green ink - though this could be mixed using the yellow and blue tones easily enough. I'm already a big fan of the two brown tones and the violet - all very nice and extremely useful. I mentioned before that the inks are the perfect compliment to the colour range - not only because they can help generate further vibrant tones (the yellow in particular is good for this), but because they can also help create a more satin finish without altering the tone too much. I haven't really had a chance to use this set to its fullest yet, so expect more in a future, fuller review post. The real clincher for my decision to buy the Scale75 range was my experience with the metallics sets for silvers and golds. These are without doubt the best acrylic metallic paints I have used to date. My current acrylic paint collection includes GW (from early 90's onwards), P3, Coat D'Arms and Vallejo and the Scale75 metallics top all of these. Why are they so good you ask? Well, as with the rest of the range, the pigment in the paint is super fine, meaning that the finish from these colours is super smooth and with a good coverage. The metallics range also includes some nice, more unusual metallic tones, including blues, greens and pinks. 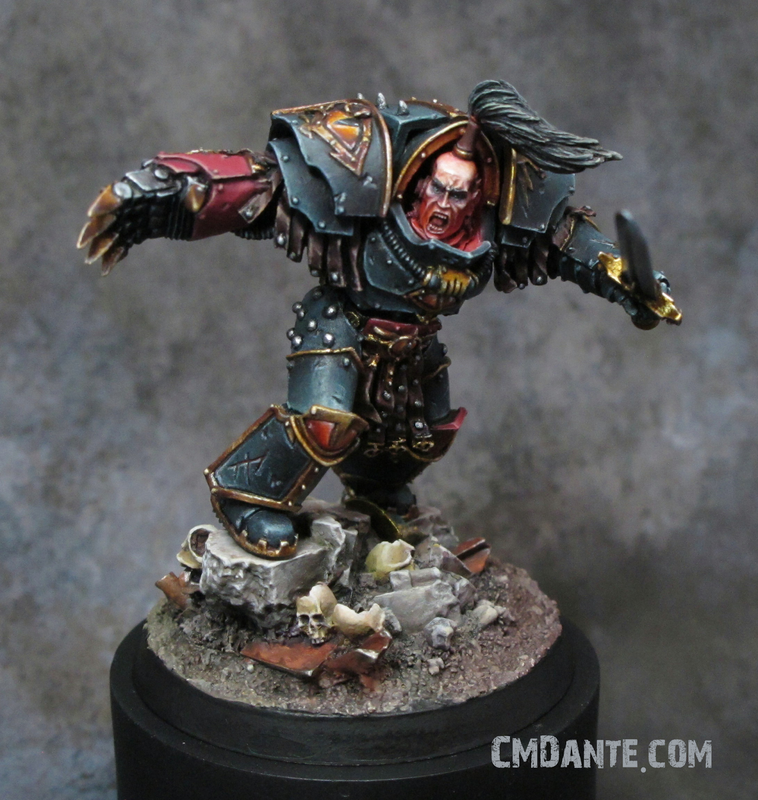 I'm already a big fan of the black metal and bright silver colours (with some cool names such as "speed metal" and "thrash metal" - very 80's!). 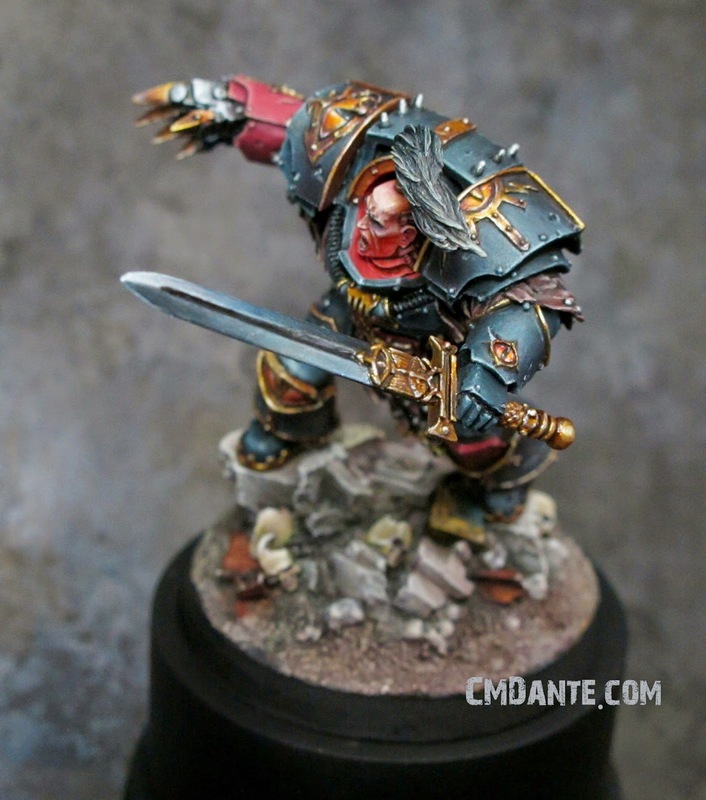 In particular, I really like the very bright white metal and white gold colours - great for super bright highlights where previously you would have required Vallejo Metallic Medium for a similar effect. 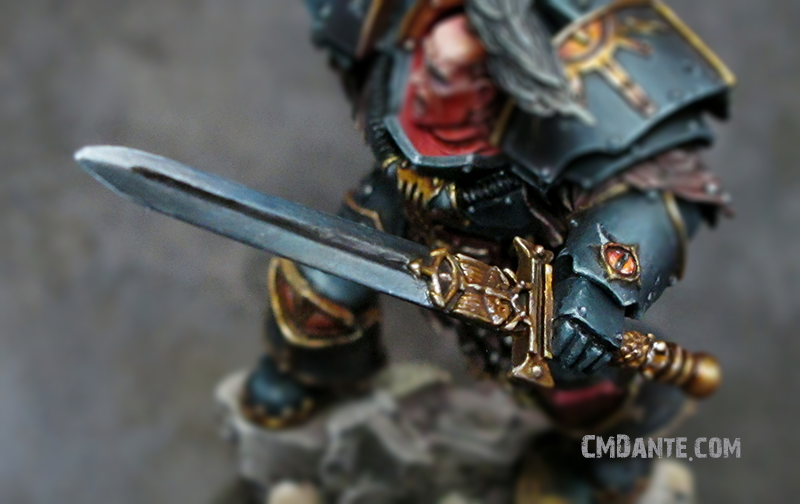 I used the metallics on my Abaddon figure and found them absolutely brilliant - particularly for getting the nice smooth gradients on the sword (all done with brush). They mix well with the colour range too, helping achieve a more matt metallic finish where needed for TMM in an NMM style. At around £19.40 per set of 8 (about £2.30 per pot) or £160 for the 63 colour mega set (about £2.50 per pot - but it also comes with the metal holder tray which retails at 25 euros on it's own), the Scale75 range is a little more pricey than Vallejo and a little cheaper than GW. But for the quality, I would definitely say they are value for money. At the moment, it's only possible (as far as I'm aware) to buy the paint sets (8 pot or 63 pot mega sets) in the UK at this time. 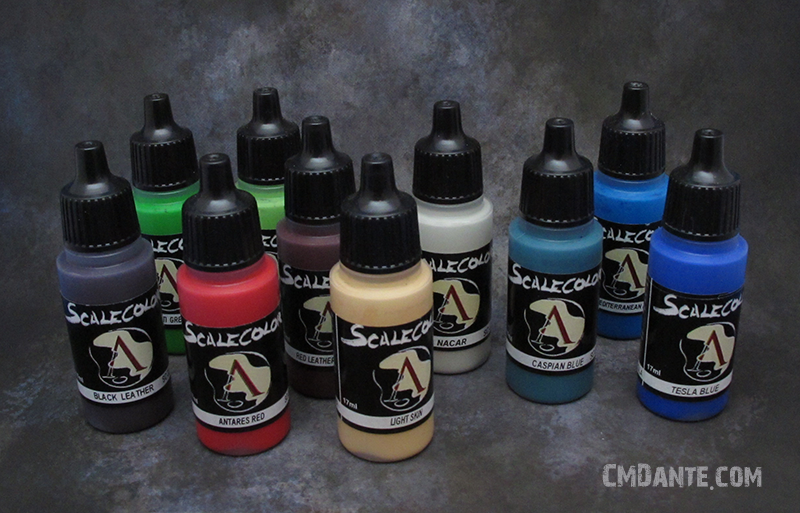 However, Scale75 have recently started to sell individual pots on their website. I bought my selection of sets from El Greco Miniatures as they had a sale on at the time, meaning I got them for about £18.30 per set, but they retail at £19.40 in most places in the UK (including MDP who carry the mega set). As the pigment is very fine, it seems to separate from the carrying fluid if left to sit for a prolonged period without shaking (around a few days), so you need to make sure to give them a good shake to ensure they are properly mixed before using. I'd recommend getting some 2-4mm stainless steel ball bearings (eBay is your friend here) to put in the pots to help with mixing. The bottles are dropper bottles of the Vallejo style many will be familiar with. This obviously means you will need to drop them onto a palette to use. I have had no issues with them on my wet palette, with the paint still usable over a number of days later. The nozzle of the dropper on the bottles comes with a thin seal of plastic over the tip that needs pierced before use. This is handy as it allows you to give them a really good shake to mix binder and pigment before first use without any spilling out into the lid. I used a needle sculpting tool to pierce. So there you have my take on the range based on my early experiences. I'm really looking forward to playing about with the matt finish more for various effects and for trying out the metallics on larger surfaces. I would really recommend trying these paints out to experience for yourself. I have seen a few reviewers complain about the matt finish and can appreciate its potentially not for everyone, but I for one am sold on them due to the flexibility it offers. Hopefully this post will help cover off enough key points to allow you to decide whether these are likely to be for you. Feel free to share your own thoughts, or ask any questions in the comments below. 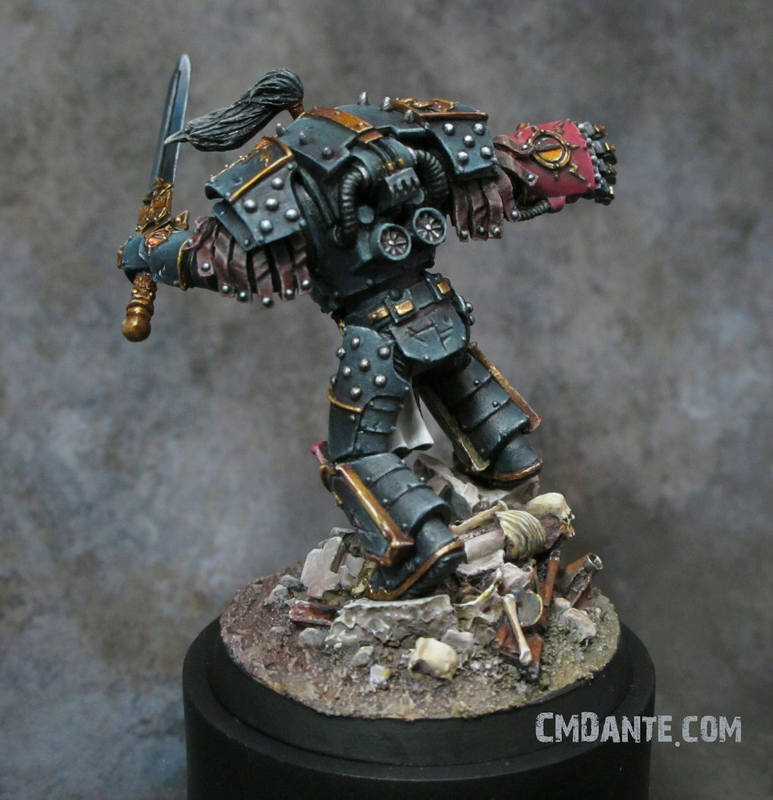 Well, after a loooooooong time, I have finally got around to finishing the Abaddon miniature from the Forgeworld Horus Heresy diorama set that I started over a year ago! Despite taking an absolute age to complete this (largely due to lengthy periods of hobby inactivity), I had a ton of fun painting this figure and feel that I learned a lot through the process to boot. All in all, I'm quite pleased with the overall result. The cold blue/black of the armour came out pretty much as intended. I also tried out a new paint range (Scale75 - very nice and with great matt properties) and got a chance to play with my Day Glow pigments from Forged Monkey (also very nice) - more on both in future posts. 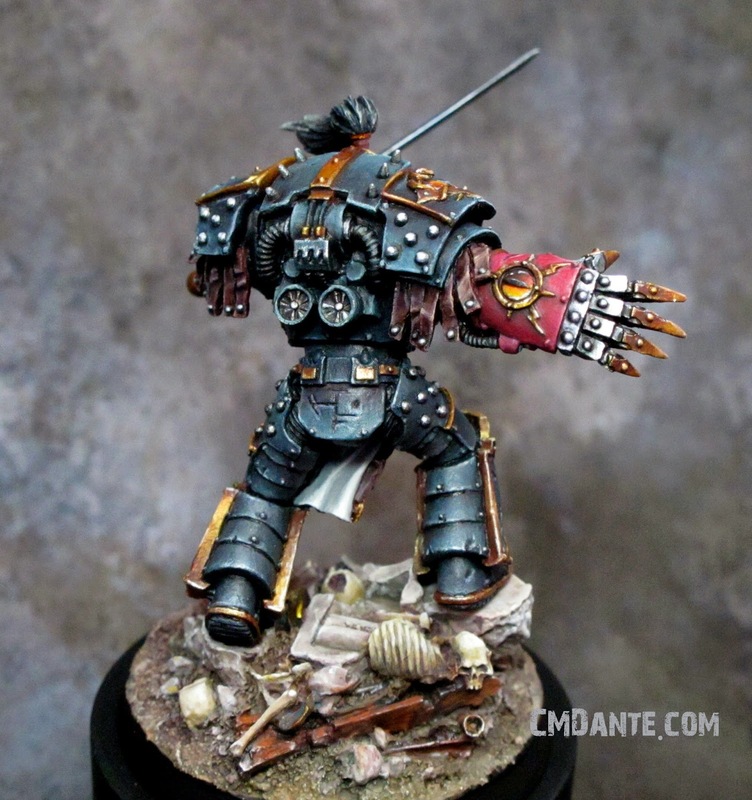 I'm now mulling over what to start on next, but in the meantime, I'd love to hear what you think of Abaddon in the comments below!